Political memoirs are not at the top of my literary must-read list, nor are they even at the bottom. The fact is, they aren’t on the list at all. I’ve read several (a couple were memorable) and without fail, most left me emotionally arid, dry to my core, bored, filled with questions and weary from their tireless, one-dimensional commentary. I was often rendered, for reasons still difficult to explain, overcome with the feeling that I had fallen, somehow, beneath the ‘caste’ radar of privilege and intellectual equality when compared to the book’s cartoonish characters, settings, and plot. More often than not, I found myself pouring over amber pages occupied by ivy league tales, the family business, elaborate trips, family trusts, Martha’s Vineyard or some impressively surreal sexual tryst at a Gregorian “compound” in eastern Europe. These memories, while expressive, never reflected the life with which I am familiar, so the highly beloved memoir is usually not a viable contender on the list of my next great read. Surprisingly, I found, purely through curiosity, an inspiring book based on political reflection that had me more entertained than I would have ever imagined. What separated this memoir from most, aside from its subject matter and immediate personal connection, was the fact that it was written by a true insider; what was referred to as “a body man,” a personal assistant. Not surprisingly, it was a memoir based on the ever mesmerizing and incomparably tantalizing Obama presidency. 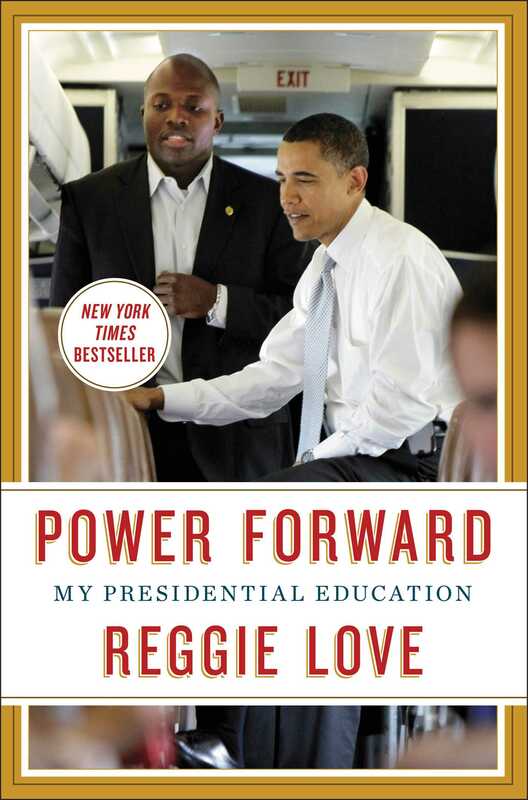 The book, Power Forward, was written, respectfully (almost ad nauseum), by President Obama’s “body man,” Reggie Love. Love has written a political “adoration” story, uniquely allowing glimpses into the day (more like a year or two) of the life of a budding, and eventually, the American president, before and after he took office. Impressively, he was able to effectively capture the feelings, magic and mayhem of campaigning [upon these American trais] as an African American with no initial national clout and then, almost magically, granted the very high and likely possibility of being victorious and becoming a historical “first”. Love writes with a gentle pen. Certainly he could have exposed some sort of muck that makes a writer’s career, especially considering the position he was in, but opted to show that his respect superseded that quest for notoriety and temporary exposure. The stories are relatively light and kind, bonding and special, reminiscent more of big brother / little brother or father and son than employer/employee. Undoubtedly, Love knew then, although he opted, it seems, to act aloof throughout the book, that he was a pretty damn lucky guy. For most of the memoir, Love quietly references possible careers in basketball, football or corporate America (going as far as try-outs and practices), but seems to put his position as “body man” to a politician–a political icon– on the cusp of significant governmental tremble, in the same category as boy scout or “oops” man. He spends an exorbitant amount of time informing the reader of his numerous mistakes and graceless blunders, mistakes that, for as minor as they seemed, sometimes stole away the fact that he had attended Duke, has hard earned stock, and pretty sharp wits. There are several moments in the book when Love gives the impression that working as the young senator’s assistant was a: “I had no other choices,” type gig, rather than, as the writing of the book proves, a stepping stone or gateway to a dream come true. There are more depth and anecdotal moments as the memoir progresses, but not in the same vain as a great novel or season writer’s non-fiction. The reader is exposed to and gets swallowed up in fraternity type interactions, a constant thrill of competitiveness, and several doses of ‘bro-therapy’, giving the reassurance that Obama is real in his naturalness, but carries himself in constant awareness of his purpose. Jokes and playful manly interactions are sincere, but it is clear, according to Love’s commentary, that everyone knew Obama was the Alpha. There is so much remaining to comment upon, but the methods used in the writing of this book does not permit for much to be said without treading upon that forbidden zone of spoiling the story further. The book is episodic, almost oppressive in its choppy approach. But it is, as aforementioned, entertaining and a relaxed read. Truthfully, it would make a decent documentary if ever produced for television; more HBO than VH1. Despite its valleys, as it does have some magnificent peaks, Power Forward is a worthy read and a personal journey which helps one to understand why (“firsts” aside) the world loves this president.